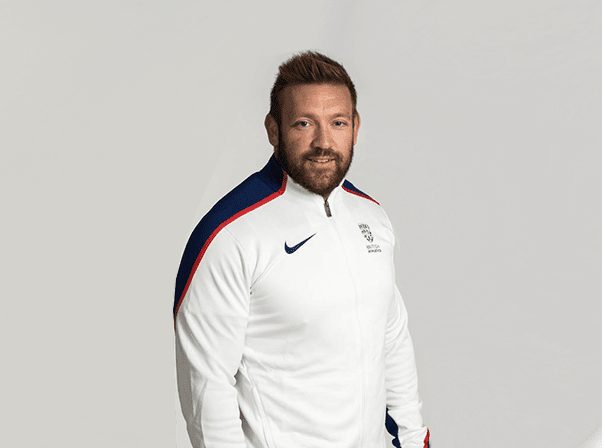 Leicestershire born Dan Greaves is a British athlete who specialise in throwing the discus and who has achieved a great deal in his chosen sport. As an ambassador for working hard, dedicating yourself to sport and always training with professionalism Dan is a standout character who can inspire and motivate a wide range of audiences. Despite being born with a foot deformity, at 13 he joined Charnwood Athletics Club and was quickly identified as a potential future champion. Dan has actually represented the British able-bodied team in a competition against the United States in 2001, but since then has has gone on to win medals with the Paralympic team. With four medals from four consecutive Paralympic Games and multiple world records to his name, the towering Midlander is now a major force in Paralympic track and field. In his home Paralympics in London 2012, Dan threw a season’s best of 59.01m to take the Silver medal and has also completed in the 2004 Athens Olympics, 200 Games iN Sydney, and 2008 games in Beijing. As well as being an outstanding talent, Dan is a charming guest speaker and an insightful sporting figure who entertains audiences and enthrals young sports people, so to have him appear on your behalf call up an agent now.